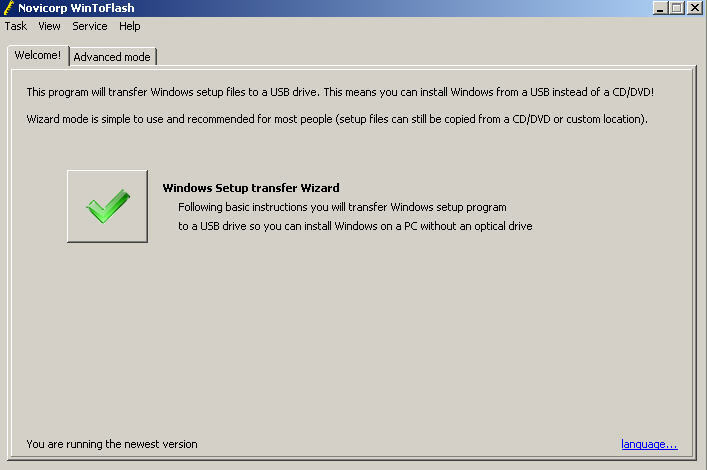 Install Windows directly from USB "
Windows installations are packaged in CD/DVD drives. These removable discs need great care in handling because any scratch on the surface can destroy the entire content. A backup is required to safeguard the content and prolong the lifetime of traditional Windows installation. Novicorp WinToFlash Lite is tool that allows to create bootable USB flash with Windows OS. 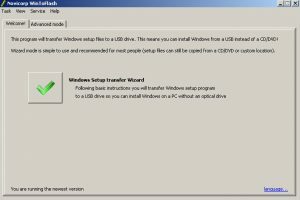 In this way, you can install Windows on a laptop or computer using a small USB stick. Its interface is simple, flexible and easy to use with step-by-step procedure on how to run the executable file until it transfers all the content to the USB Flash Drive. The software has a backup procedure. It supports ISO files, but also DVD/CD. WinToFlash Lite is compatible with most modern computers. The configuration is simple with a wizard to give all the guidance. When you need to remove the disk content or boot the disc content on MS-DOS mode it has all the functions for smooth operation. Since the whole operation is integrated in the system it takes quite some time to complete operation hence patience is required to allow full extraction and transfer to install Windows. 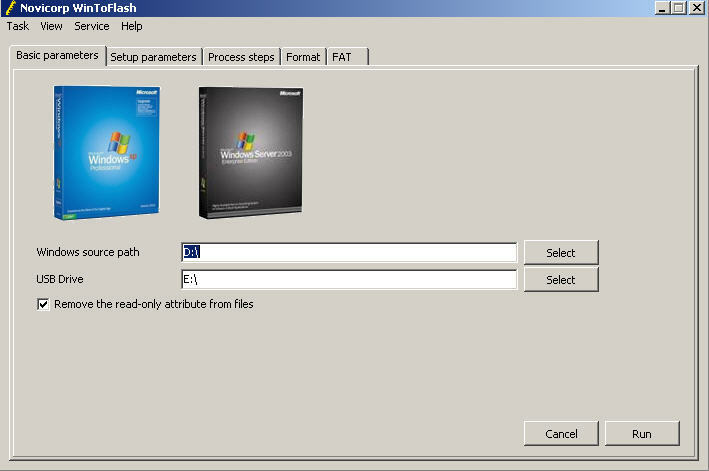 WinToFlash is licensed as freeware for PC or laptop with Windows 32 bit and 64 bit operating system. It is in boot manager/disk category and is available to all software users as a free download.